Please read these Terms and Conditions (“Terms”, “Terms and Conditions”) carefully before using the https://www.heartcomms.com.au/ website (the “Service”) operated by Heart Harmony Communications (“us”, “we”, or “our”). We issue refunds for digital products within 60 days of the original purchase of the product. Should you wish to return your order, please notify us within 60 days of purchase with a valid reason for return. If we are unable to resolve your complaint or further assist you, we will process a refund. Refunds will be processed promptly, and payment made by the same method that you made payment. All refunds are made at our discretion. At the end of each Billing Cycle, your Subscription will automatically renew under the exact same conditions unless you cancel it, or Heart Harmony Communications cancels it. You may cancel your Subscription renewal either through your online account management page or by contacting Heart Harmony Communications customer support team. A valid payment method, including credit card or PayPal, is required to process the payment for your Subscription. You shall provide Heart Harmony Communications with accurate and complete billing information including full name, address, state, zip code, telephone number, and a valid payment method information. By submitting such payment information, you automatically authorise Heart Harmony Communications to charge all Subscription fees incurred through your account to any such payment instruments. Should automatic billing fail to occur for any reason, Heart Harmony Communications will issue an electronic invoice indicating that you must proceed manually, within a certain deadline date, with the full payment corresponding to the billing period as indicated on the invoice. Heart Harmony Communications, in its sole discretion and at any time, may modify the Subscription fees for the Subscriptions. Any Subscription fee change will become effective at the end of the then-current Billing Cycle. Heart Harmony Communications will provide you with a reasonable prior notice of any change in Subscription fees to give you an opportunity to terminate your Subscription before such change becomes effective. The Service and its original content, features and functionality are and will remain the exclusive property of Heart Harmony Communications and its licensors. The Service is protected by copyright, trademark, and other laws of both the Australia and foreign countries. Our trademarks may not be used in connection with any product or service without the prior written consent of Heart Harmony Communications. Nothing in these Terms constitutes a transfer of any Intellectual Property rights from us to you. Our Service may contain links to third-party web sites or services that are not owned or controlled by Heart Harmony Communications. Heart Harmony Communications has no control over, and assumes no responsibility for, the content, privacy policies, or practices of any third-party web sites or services. You further acknowledge and agree that Heart Harmony Communications shall not be responsible or liable, directly or indirectly, for any damage or loss caused or alleged to be caused by or in connection with use of or reliance on any such content, goods or services available on or through any such web sites or services. Please note that Heart Harmony Communications does not guarantee the accuracy, relevance, timeliness, or completeness of any information on these external websites. We only provide links to external websites as a convenience, and the inclusion of such a link to external websites do not imply our endorsement or approval of those websites. We take no responsibility for any of the content found on the linked websites. You acknowledge and agree that when you access other websites on the Internet, you do so at your own risk. If you are in the business of creating similar documents, goods or services for the purpose of providing them for a fee to users, whether they be business users or domestic users, then you are a competitor of Heart Harmony Communications. We expressly exclude and do not permit you to use or access our website, to download any documents or information from our website or obtain any such documents or information through a third party. If you breach this term, then we will hold you fully responsible for any loss that we may sustain and further hold you accountable for all profits that you might make from such unpermitted and improper use. We reserve the right to exclude and deny any person access to our website, services or information in our sole discretion. By engaging our services, you agree that Heart Harmony Communications is reliant on the information supplied by the client in order to provide the services and cannot be held responsible for any results for services provided based on such client information. You are liable and fully responsible for any decisions you make based on our services or recommendations and any consequences which may result. The information contained on https://www.heartcomms.com.au/ website (the “Service”) is for general information purposes only. Our website, blog and email newsletters are educational and informational resources for business owners. We cannot guarantee the outcome of following the recommendations provided and any statements made regarding the potential outcome are expressions of opinion only. We make no guarantees about the information and recommendations provided herein. By continuing to use, read and/or participate with our website, blog and email newsletters you acknowledge that we cannot guarantee any particular results, as such outcomes are based on subjective factors that are not within our control. Therefore, following any information or recommendations provided on our website, blog and email newsletters are at your own risk. Whilst we, at all times endeavour to have the most accurate, reliable and up-to-date information on our website, we do not warrant or make any representations regarding the use or the result of the use of any document, product, service, link or information in its website or as to their correctness, suitability, accuracy, reliability, or otherwise. Heart Harmony Communications assumes no responsibility for errors or omissions in the contents on the Service. Heart Harmony Communications its subsidiaries, affiliates, and its licensors do not warrant that a) the Service will function uninterrupted, secure or available at any particular time or location; b) any errors or defects will be corrected; c) the Service is free of viruses or other harmful components; or d) the results of using the Service will meet your requirements. In no event shall Heart Harmony Communications be liable for any special, direct, indirect, consequential, or incidental damages or any damages whatsoever, whether in an action of contract, negligence or other tort, arising out of or in connection with the use of the Service or the contents of the Service. Heart Harmony Communications reserves the right to make additions, deletions, or modification to the contents on the Service at any time without prior notice. It is your sole responsibility and not our responsibility to bear any and all costs of servicing, repairs, or correction. The applicable law in your state or territory may not permit these exclusions, particularly the exclusions of some implied warranties. Some of the above may not apply to you but you must ensure you are aware of any risk you may be taking by using this website or any products or services that may be offered through it. It is your responsibility to do so. This affiliate disclosure details the affiliate relationships of Heart Harmony Communications with other companies and products. Heart Harmony Communications is a participant in the Amazon Services LLC Associates Program, an affiliate advertising program designed to provide a means for sites to earn advertising fees by advertising and linking to Amazon.com or endless.com, MYHABIT.com, SmallParts.com, or AmazonWireless.com. 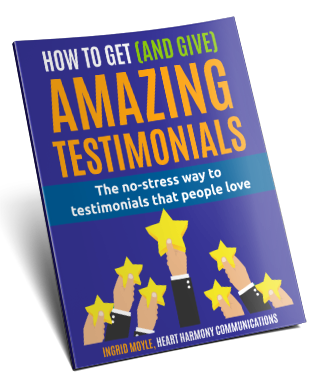 Pages on this Service may include affiliate links to Amazon and its affiliate sites on which the owner of this Service, Heart Harmony Communications, will make a referral commission. We reserve the right, at our sole discretion, to change, modify, add or replace these Terms at any time. If a revision is material, we will try to provide at least 30 days’ notice prior to any new terms taking effect. We may update our Site Terms from time to time. We will notify you of any changes by posting the new Site Terms on this page. We will let you know via email and/or a prominent notice on our Service, prior to the change becoming effective and update the “effective date” at the base of these Site Terms. You are advised to review these Site Terms periodically for any changes. Changes to these Site Terms are effective when they are posted on this page.